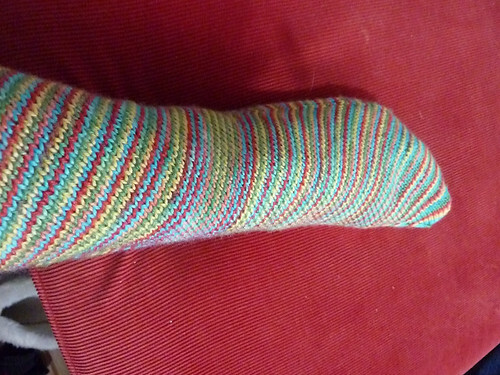 My first Skew sock is finished! Yea! And it fits. 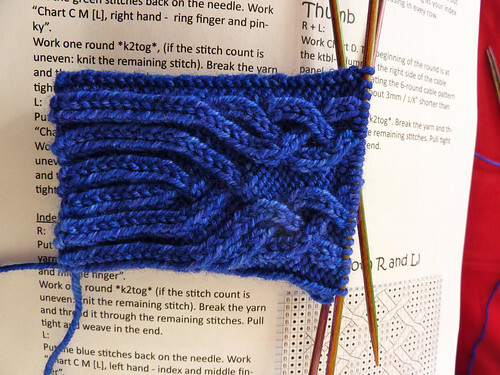 I had read stories of other people having problems getting the sock over their instep, so I decided to knit them on 2.5mm needles instead of the 2.25 I normally use for socks. The foot part of the sock is a little looser than I would like, but the ankle and leg fit perfectly. 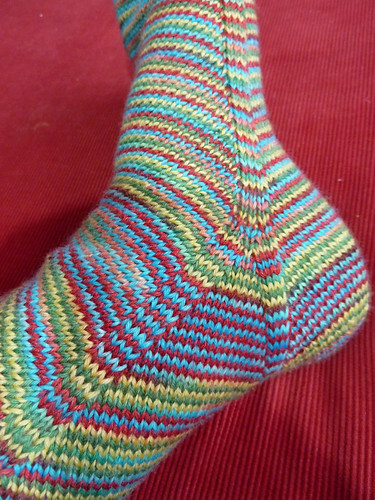 I think if I make them again I would knit up through the foot section on 2.25mm and then the rest of 2.50mm. Who knows, maybe I will make them again. They are actually really easy to make and look more complicated than they are. Just follow the instructions and there you are! It’s really fun to see them come together in a surprising way. I love how the color changes in the yarn look with this pattern. 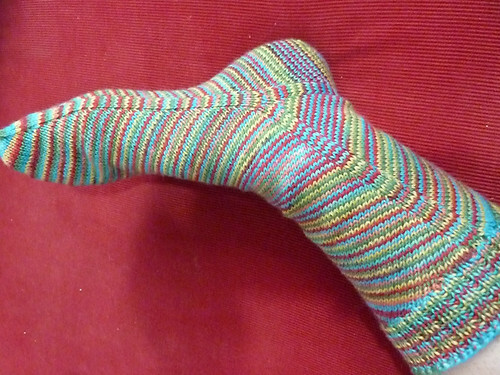 It would be worth dyeing more yarn like this, in different colors, just to make these socks again. I just took your basic length skein of yarn and dyed it in quarters around (1/4 red, 1/4 green, 1/4 blue 1/4 yellow). Simple and effective.